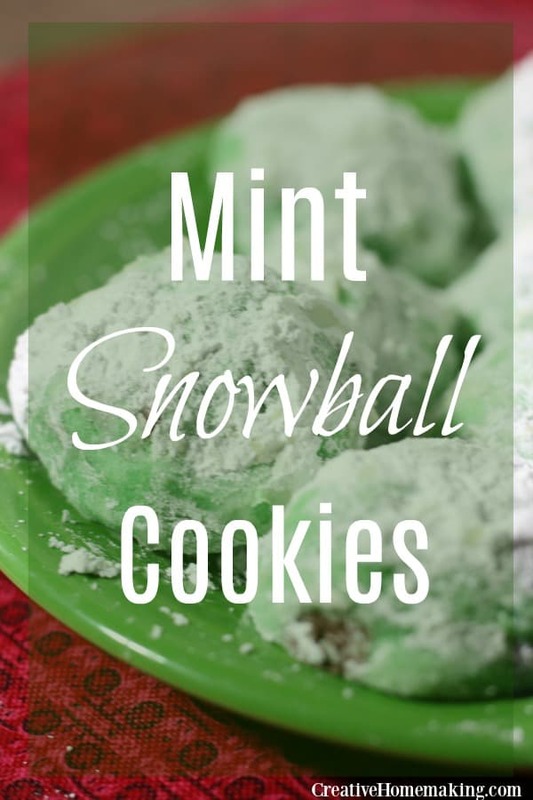 November 17, 2016 0 comments on "Mint Snowball Cookies"
If you like chocolate and mint, then you will love these mint chocolate chip mint snowball cookies. 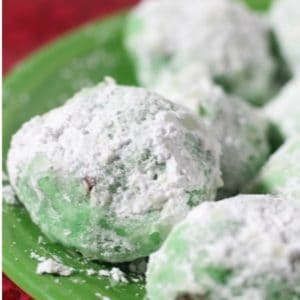 Snowball cookies are little round balls of goodness with a surprise in the middle. These have chocolate chips hiding inside. They won’t disappoint! They are perfect for holiday gift giving or Christmas cookie exchanges. Beat butter and powdered sugar together until creamy. 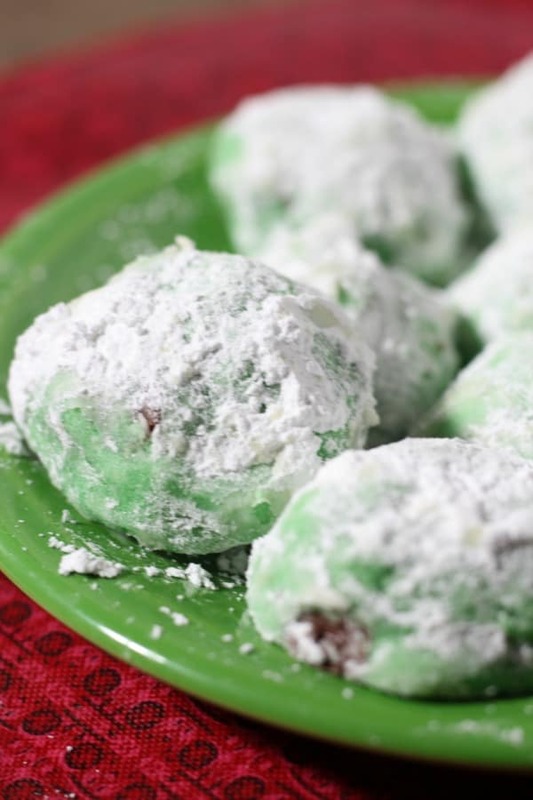 Mix in flour, salt, and mint extract until just combined. Add a few drops of green food coloring and stir. Add more food coloring if necessary to achieve desired color. Cover the bowl of dough with plastic wrap and place in refrigerator for 30-45 minutes. Dough needs to be chilled before baking. Form dough into 1 inch balls and place on baking sheet on a baking mat or parchment paper to keep them from sticking to the pan. Bake for about 7 minutes, or until very lightly browned on the bottoms of the cookies. Let cookies cool on baking sheet for 5 minutes. Place cookies several at a time in a pie pan that has the powdered sugar in it. Sprinkle the warm cookies with powdered sugar and then let cool completely on waxed paper. After the cookies are cooled roll them in powdered sugar again. Like this recipe? You might also like my recipes for peanut butter cup cookies and Kris Kringle cookies.